Date Wise 02-11-2018 and Teacher Study Material Subject wise Notes Lecture Notes Sanskrit, Hindi, English, SST, Economics, psychology notes, Teaching Method, GK, Math, Urdu, Punjabi, Science subjects Physics, Chemistry, Zoology, Botany, Micro-Biology, Bio-Technology, and Bio-Chemistry. History, Geography, Economics, Political Science, Sociology, Social Science Indian History. 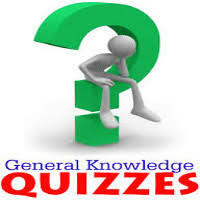 Question(1) What was the main occupation of people of Indus Valley Civilization? सिंधु की घाटी सभ्यता के लोगों का मुख्य व्यवसाय क्या था? Question(2) Harappa’s civilization was the civilization of which era? हड़प्पा की सभ्यता किस युग की सभ्यता थी? Question(3) Who made the house in Indus Valley Civilization? सिंधु की घाटी सभ्यता में घर किससे बने थे? Question(4) What were the people of Harappa in the forefront? Question(5) Who first invented Harappan’s civilization? हड़प्पा की सभ्यता की खोज सर्वप्रथम किसने की? Question(6) Which was the main port of Indus Civilization? सिंधु सभ्यता का प्रमुख बंदरगाह कौन-सा था? Question(7) What methods did Harappa adopt for the configuration of houses and cities? हड़प्पा के निवासी घरों एवं नगरों के विन्यास के लिए किस पद्धति को अपनाते थे? Question(8) Which year did Harappan’s civilization discover? हड़प्पा की सभ्यता की खोज किस वर्ष हुई थी? Question(9) How was the social method of the people of Harappa? हड़प्पा के लोगों की सामाजिक पद्धति कैसी थी? Question(10) What place of Indus Civilization has been described as Oasis? नखलिस्तान सिंधु सभ्यता के किस स्थल को कहा गया है?